Classic Beatles albums including Revolver have finally gone platinum after the British Phonographic Industry (BPI) changed its sales award rules. Gold or platinum status has become synonymous with record success but the system has only been in place since 1973, after the Beatles broke up. Until last month, the BPI relied on a record company to request an award. Under the new system, sales figures are automatically recognised as soon as a record passes the relevant threshold. This means that 13 Beatles albums will now be recognised for the first time, although the number of sales can only be counted from 1994, when the Official Charts Company began keeping records. That means that Sgt Pepper's Lonely Hearts Club band is now a triple-platinum album, having sold more than 900,000 copies since 1994. 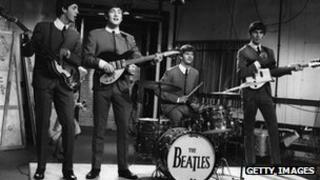 In total, the album is estimated to have sold 5.1 million units in the UK since its 1967 release. The albums Revolver, Help, Rubber Soul and The White Album now also have platinum status. Classic albums from Bob Dylan, The Beach Boys and Marvin Gaye will also receive awards.